Please see event listings below and please let us know if you would like to have an event listed. Welcome to the launch of The Spitfire Fund and our inaugural beer and film festival at the Amy Johnson Suite within the Croydon Aerodrome Hotel on Saturday 2 March 2019. The venue is centrally located by car and public transport. The closest rail station is Waddon with West Croydon, East Croydon and South Croydon stations slightly further away and buses stop outside at Croydon Airport House. The Hotel offers free parking, refreshments, accommodation and situated next to the historic Croydon Airport terminal. The event will start at 10am and finish at 11pm. Further details and how to book tickets can be found by clicking here. 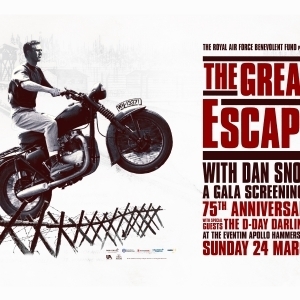 To mark the 75th anniversary of the Great Escape on 24th March 2019, we are producing the UK's largest commemorative event at the Hammersmith Apollo and in hundreds of cinemas nationwide - www.thegreatescape75.co.uk. Historian and presenter Dan Snow will host the evening featuring music from the D-Day Darlings and interviews with veterans followed by a gala screening of the re-released 1963 cult film, starring Steve McQueen. The perfect family day out! Expect to enjoy a thrilling air display, and ground activities to keep everyone entertained. 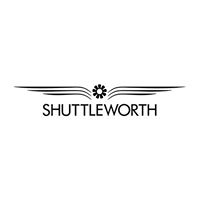 Shuttleworth is home to vintage vehicles, motorcycles, and over 50 historic aircraft, with an adjacent 19th century Regency Swiss Garden. Ticket price includes entry to The House, Swiss Garden, and play area. 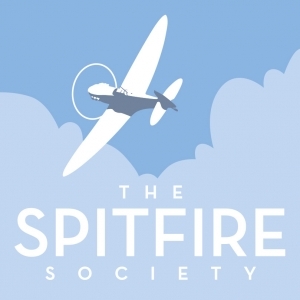 The Spitfire Society Annual General Meeting will be held on 18 May 2019 between 12pm and 5pm at Boscombe Down Aviation Collection. There is no aeroplane more iconic than the Spitfire. Called by many the saviour of the Free World, especially during the Battle of Britain, this sleek design is frequently seen at air shows around the world. 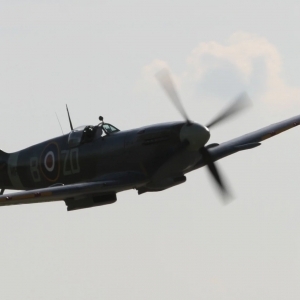 This is your chance to get up close and personal with the fighter at one of the world’s leading Spitfire operators - and at the famous Battle of Britain fighter station, Biggin Hill. There can be nowhere better to study the Spitfire than the former RAF Biggin Hill in the 80th year of the Battle of Britain. The facilities of the Heritage Hangar are world-class and afford a privileged access to Spitfires under maintenance, re-build and flying. The hangar would be conducted by one of the engineers who spends every day with these magnificent machines and he’ll be able to answer the most in-depth engineering questions. Included is a free copy of SPITFIRE EVOLUTION, signed and personalised by the author Paul Beaver and the opportunity to buy a small commemorative mug of the day. Paul Beaver will lead the discussion on the Spitfire throughout the day, focussing on the study areas. The advantage of the Heritage Hangar is that much of the lectures can be illustrated with real examples from the engineering shop floor. Paul Beaver is a well-known historian and broadcaster who continues to research the Spitfire. He spent six years flying Spitfires in six European countries. He regularly lectures on his experiences to lay and expert audiences, including at the Battle of Battle Bunker in Uxbridge. Paul has recently been appointed Honorary Group Captain of No 601 (County of London) Squadron, Royal Auxiliary Air Force, which flew Spitfires during and the immediately after the war. Paul Beaver is the author of two major works on the Spitfire, is a member of the Spitfire Society and lectures regularly on the development and service life of the worlds most iconic aeroplane. He even has 6 years of Spitfire flying in his log book.